When we think of the concept of Waza (技) or "art and technique," it's easy to get caught up in the idea of individual mastery. It's true that works of art are often created by those with great skill, but acquiring that skill is neither solitary nor static. Generations of masters contribute to a canon and it is in that spirit that we built the Heroku platform and the Waza event. This year's Waza was no exception. 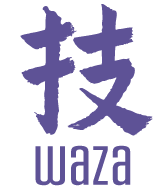 Waza (技) 2013 is only a week away and the schedule is packed with amazing speakers and hands-on craft experiences. We can’t wait to share this day with all of you. If you haven’t yet, register now before it’s too late! This year, Waza will have three stages with a total of 20 talks. The rest of the venue is packed with lounges, co-working spaces, snack and beverage stations, and, thanks to our sponsors, all kinds of interactive, craft-based activities to fuel your creative mind. In addition to our great sponsored happenings, we have quilting, dye-making and printmaking artists on hand. Come experience their unique crafts, hands-on and up-close. Heroku's developer event, Waza, returns on Thursday, February 28th, 2013 to the Concourse in San Francisco. Sign up to be notified when tickets are available. Waza (技) is the Japanese word for art and technique. At Heroku, we believe that software development is a craft. Building modern technologies that engage and inspire is an art, with techniques shared, passed on, and honed in the process of creation.